"Contexts" explores the personal and social issues that loom large in Austen's novel: sense, sensibility, self-control, judgment, romantic attachments, family, and inheritance. Included are writings by Adam Smith, Samuel Johnson, Edmund Burke, Thomas Paine, Mary Wollstonecraft, Hannah Moore, and Maria Edgeworth. 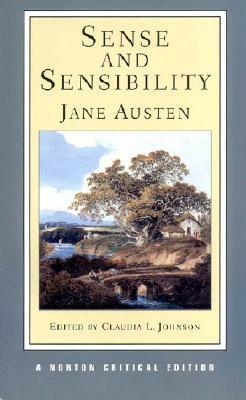 "Criticism" collects six early and twelve modern assessments o "Contexts" explores the personal and social issues that loom large in Austen's novel: sense, sensibility, self-control, judgment, romantic attachments, family, and inheritance. Included are writings by Adam Smith, Samuel Johnson, Edmund Burke, Thomas Paine, Mary Wollstonecraft, Hannah Moore, and Maria Edgeworth. "Criticism" collects six early and twelve modern assessments of the novel. Contributors include Alice Meynell, Reginald Farrer, Jan Fergus, Raymond Williams, Marilyn Butler, Mary Povey, Claudia L. Johnson, Gene Ruoff, Patricia Meyer Spacks, Isobel Armstrong, Mary Favret, Deidre Shauna Lynch, Eve Sedgwick, and Deborah Kaplan. A Chronology and a Selected Bibliography are included.